Not Verified | When we arrived at the airport and wanted to go through security check there was an endless line of waiting passengers. I estimate 300 feet. I never have experienced something comparable. After the check we wanted to grab a coffee at the coffee shop, and they just were not able to make it. There were too many customers and the girl at the coffee machine was too overwhelmed. "Fool me twice shame on me"
✅ Trip Verified | Have only used this airport twice in my lifetime and will never fly American Airlines again. This is a hub for them as we were flying internationally to Rome and beyond. As stated they have lost my luggage twice and I have only used them twice, so enough said. We arrived in plenty of time for our connection and had something to eat. Open air restaurant good however, the temperature in the entire airport was well over 80+ degrees. It became so uncomfortable that at one point we ventured out back thru security just to get some fresh air. 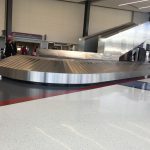 The airport is OK but, security is rude and sorry but if you can't get our bags on the connecting flight what's the point? Airplane boarding went fine but here is where the glitch comes in. It's March so they have to de-ice. We sat on the tarmac for over 3 hours as apparently someone forgot to put in an order for the actual supply and they ran out of de-icer fluid. The pilot was peeved and again no ventilation on the plane so temps now reaching well into the 90's. Separate review of American, sadly this is what flying comes down to now. I guess the pilot flew really fast as we made it to Rome, a flight crew guy got us to the gate with an hour to spare but alas the bags never made it. Fool me twice shame on me. Not Verified | TSA personel were the rudest people I have ever dealt with. It wouldn’t hurt to be just a little kind. If they aren’t happy with there job, they need to move on. Not Verified | The security staff were friendly. The water fountains are all out of order and the restaurants will not give you a cup of water even when requested. They all said I could buy a water which was between $2.50-4.00. Rip off! Each place was rude about it too. Other airports have filtered water fountains. Shame on you Philly! "Nasty people running this place"
Not Verified | Horrible unfriendly attitude by every employee I met except the ladies at the information desk. No smiles and if you asked a question you got a glare not an answer. Nasty people running this place. ✅ Trip Verified | Rude treatment when entering through customs from Europe by both Customs official and TSA. As we stood in line, an official from customs and one from TSA, at separate times in different areas shouted at both my husband and I, "Get behind the red line"! (Our foot was over the line) and again "Get behind the gate!" (which was an open flap). A simple, courteous "please stay behind the line" would have worked to get the message across without embarrassing us. TSA also took a sealed yoghurt from me. Not a good experience and we could not wait to leave this airport. "it was demanding a ticket"
Not Verified | Skytrax cannot verify my review, as I was not a passenger, just the hapless relative who agreed to pick her daughter and fiance up after an international flight. First mistake I made was going into the short-term parking lot. I followed the directions on the self-serve kiosk, inserted my credit card. No ticket had emerged from the machine, but the gate lifted, so I went through. Areas within the parking garage are fenced-off in such a way that it cannot be exited without going the wrong direction in one-way areas. At night, there is no alternative to the "self-serve" exit kiosks. I was trapped behind a driver whose credit card was eaten by the machine. The entire line slowly backed their cars up, I pulled into another line, and found to my horror that it was demanding a ticket from the entry kiosk. I jumped up and down, waved my arms, and put on an embarrassing show for everyone as I called for help, which came, nice and slow, looked me in the eye, and politely told me to file a complaint. Here it is. Not Verified | Without a doubt, one of the worst airports we have ever traveled to/through. Recent travels to/from Glasgow had us scrambling to make our connections, but return to US on Saturday 9/8 had 1/2 of Kiosks available and terribly understaffed personnel at Customs. 1.5 hours to get from originating flight through customs, back through TSA, and then to our flight at Terminal F, which required a shuttle bus ride and then a dash to our gate. Thankful we made our flight but continue to be amazed that it took us this long. Will definitely avoid this airport going forward and will recommend the same to others. Very poor management of personnel and systems. Not Verified | Philadelphia airport is the worst airport in the country! I would compare it to a third world country but that would insult the third world countries. Cancellations and delays are a constant, staff is rude, the bathrooms are a disgrace (no soap, paper towels containers are empty). I could go on and on. I used to have to travel to Philly for work and it was a nightmare and it's just as bad now or worse. I couldn't even get an internet connection in the airport. My flight was cancelled on Sunday and I was delayed hours on Monday. I couldn't find a place to sit and plug devices in so I sat in a hallway. This facility is so inefficient and poorly run. I would avoid it like the plague but my grandson lives there. Not Verified | The airport itself is nice, has some nice shopping areas, updated a few years ago. American has a nice Admirals club, friendly staff there. Low rating is due to very unfriendly gate staffing. Little concern for customers and not helpful. Normally fly out of Dulles airport but instead of driving 3 hours to DC, decided to try Philly for International flight. 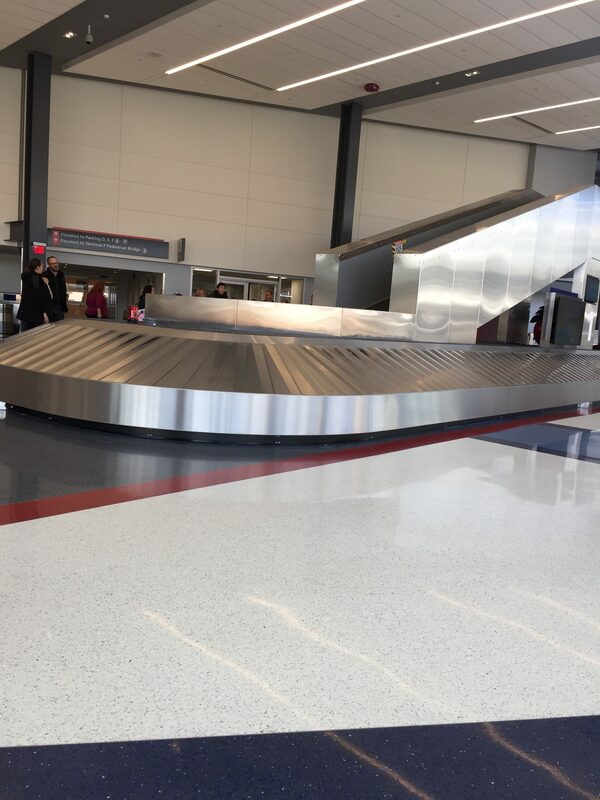 Have flown from Philly multiple times domestically and always have delays and unfriendly service.